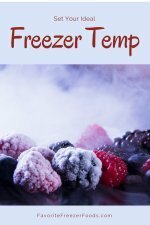 Diabetic dinner recipes for the freezer are recipes that can be made ahead and frozen until you need them. When you have diabetes it's important to eat right and having healthy homemade choices in the freezer makes it easy to make those healthy choices. 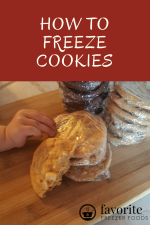 I've compiled a list of freezable recipes for you to try. There is also a form for you to share your favorite diabetic dinner recipes with others. Recipes include freezing instructions of course. Chicken Meatballs Ground chicken is leaner than beef and this recipe with Parmesan and herbs is delicious. Ham and Cheddar Breakfast Burritos: Make it even better by adding some small pieces of frozen broccoli. Salsa Chicken A quick and easy recipe that can be made in the crock pot or oven. The salsa means you get an extra serving of veggies. Avgolemono Soup It's a Greek soup with chicken broth and rice flavored with eggs and lemon. Creamy Turkey Wild Rice Soup One of my absolute favorites. I have not tested these recipes, I've simply given freezing and thawing instructions. Salmon Burgers Freeze prepared patties before cooking. Can be thawed in the fridge and cooked per instructions or cook from frozen for 6-7 minutes per side. Tuscan Meatloaf Can be frozen before or after baking. Thaw before baking or add about 50% cooking time, if the top gets too dark cover it with aluminum foil. Prebaked meatloaf can be reheated in the microwave. Broccoli Cheddar Cheese Soup Freeze in individual servings. Thaw and reheat on the stove or in the microwave. To reheat from frozen on the stovetop add a few tablespoons of water to a saucepot and add the frozen soup, stir often to help it thaw. Serve when hot. Asparagus Soup Use same directions as above for the broccoli cheddar soup. Crustless Broccoli Quiche Cut cooked and cooled quiche into individual servings then freeze. Microwave slices from frozen for a super quick, healthy meal. Turkey Vegetable Meatloaf Can be frozen before or after baking. Thaw before baking or add about 50% cooking time, if the top gets too dark cover it with aluminum foil. Prebaked meatloaf can be reheated in the microwave. Share Your Diabetic Dinner Recipes For The Freezer. Do you have a great recipe for diabetics? Share it! Return from Diabetic Dinner Recipes to the homepage of Favorite Freezer Foods.